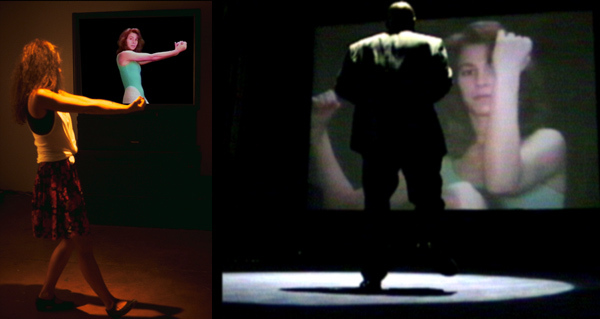 Audiences encounter a video projection of an aerobics instructor who stands in silence until a viewer approaches. The instructor begins exercising to music when a viewer moves in front of the projection and into the spotlight. If a viewer stops moving, the instructor also stops exercising and the music stops. The instructor begins a new exercise each time a viewer begins moves. If a viewer exercises non-stop, the music and the instructor’s exercising will increase in tempo. Although the aerobics instructor is technically controlled by the physical motion of audiences, viewers are compelled to exercise faster without stopping.